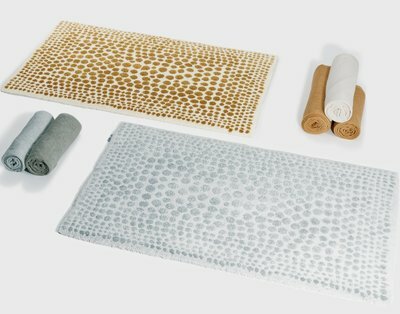 These fun bath rugs have a spotted pattern and feature a sparkling metallic element (Gold for color 800, Silver for color 900). 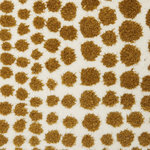 Soft, washable, and comfortable bath rugs made of 60% combed cotton, 20% Acrylic, 20% Lurex. 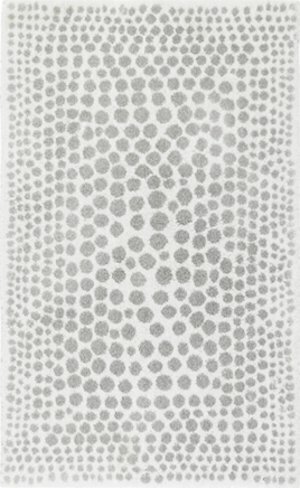 Made to order in Portugal, usually ships in 3-4 weeks. As these items are made or ordered specifically for you they are not eligible for cancellation, return or exchange.